Looking for the best Xbox One bundles and deals? You&apos;re in the right place for the cheapest Xbox One prices from around the web as we&apos;re constantly on the lookout for the best offers. It&apos;s what we do every day, not just Black Friday. There are some excellent new deals this weeks with a particularly large Xbox One bundle packed with extras to keep you going for some time. There are some choice picks on the smaller bundles too as we&apos;ve shopped around to bring you the best price. The Xbox One S has generally replaced the original model now, but we still see the some cheap discounts, so keep an eye out on both comparison charts and bundle lists below. 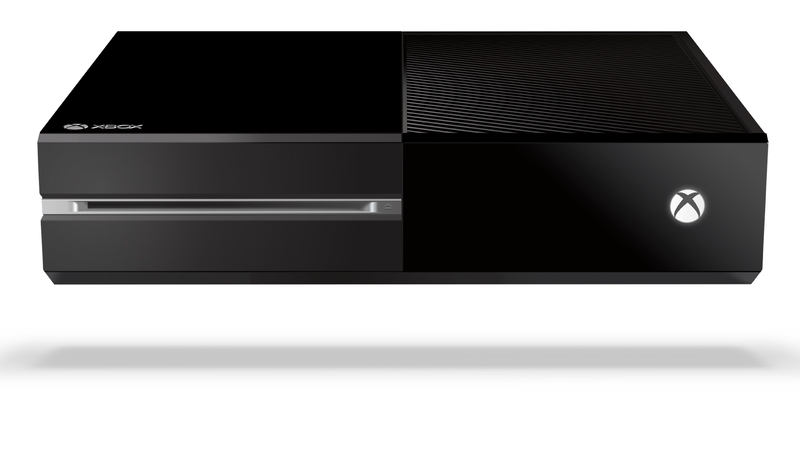 Don&apos;t forget, Xbox One bundles are usually way better value than buying a console on its own. Looking to buy in the UK or Australia? You&apos;ll want to take a look at our UK page or AU page. 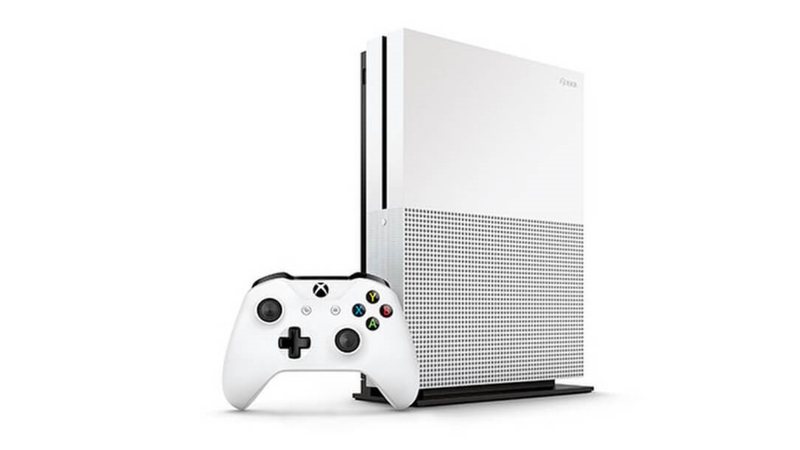 Before you look at the older Xbox One bundles, you may want to consider the new Xbox One S. The slimmed-down design looks much better than the original chunky box and the power brick has been absorbed. The main draw though is 4K visual support meaning you&apos;ll be able to watch specialized 4K Blu-Ray and Netflix content in 4K on your new 4K TV. The new version&apos;s 2TB, 1TB and 500GB models launched recently and have been selling very well. These prices are for the older Xbox One model. The console is considerably larger and has an external power brick. 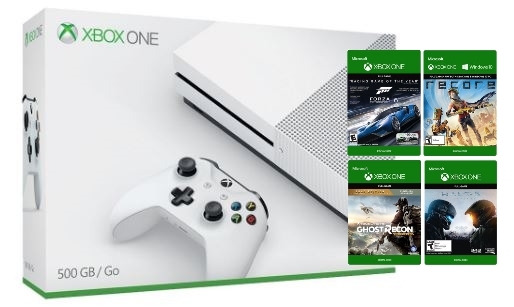 It won&apos;t play Netflix or Blu-Rays in 4K, but is just as an effective games console as the new Xbox One S. Nowadays though, we&apos;re finding the Xbox One S deals are even cheaper, so we&apos;d only go for the older model if you spot a seriously cheap deal. In recent times, you&apos;ve been lucky to find an Xbox One S alone for $250, so we&apos;re seriously impressed at the bundled in games here. Especially Wildlands as it&apos;s still fairly new and you&apos;re getting the Gold Edition. The other games are more than worth your time too. The games come in digital form, with the XBL codes being emailed to you when the console ships. Note: the games aren&apos;t mentioned in the listing&apos;s title, instead they&apos;re just underneath the images. The Xbox One S bought must be shipped from and sold by Amazon, so no third-party sellers. Check the image below for clarification on what to look out for to snare this super Xbox One bundle. 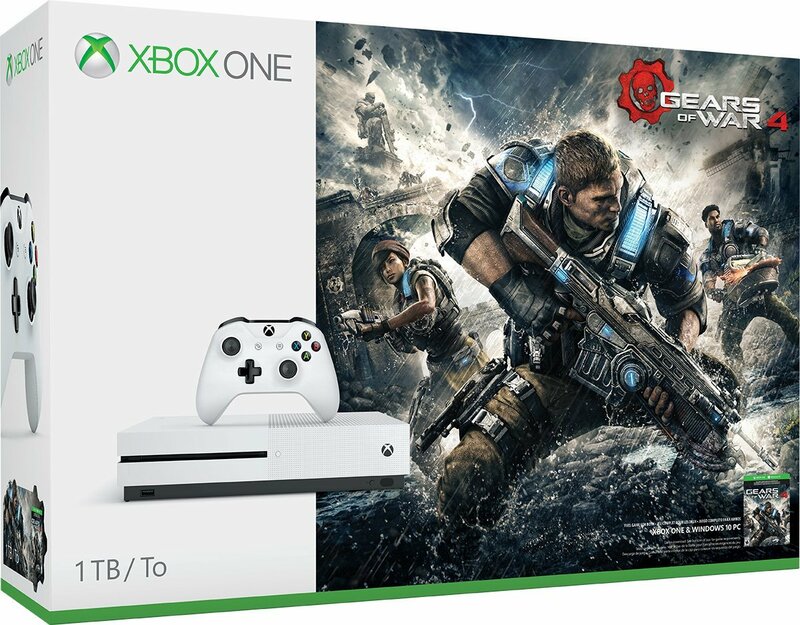 Gears of War 4 should be high on the must-buy list of any new Xbox One S owner. So this is an ideal bundle, especially if some of the other bundled games like FIFA 17 or Battlefield 1 don&apos;t take your fancy. 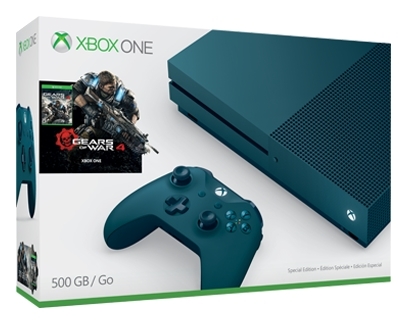 More to the point this is a fantastic price for the increasingly rare 1TB Xbox One. This brand new pre-order bundle is set to release alongside the new NFL game on August 25. 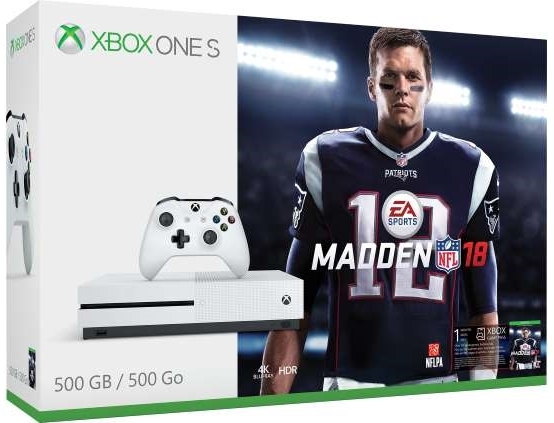 So, if you&apos;ve been waiting to grab an Xbox One S and are a football fan, it makes sense to opt for this one. 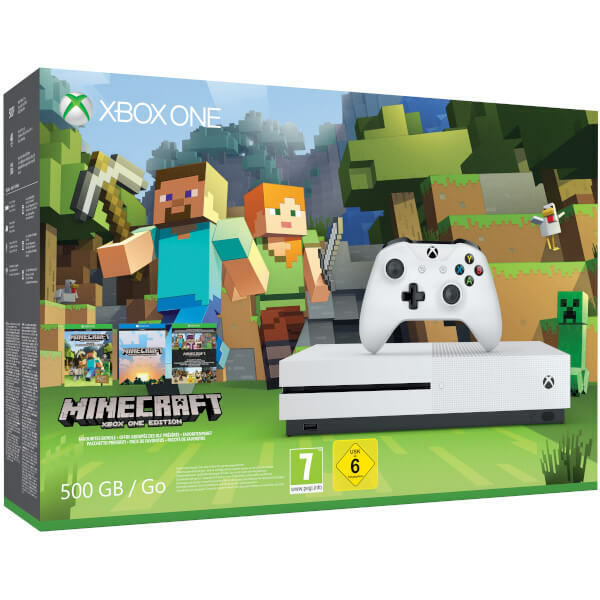 Even if you&apos;re not bothered about Minecraft, this is a cheap way of getting a brand new Xbox One S in your life. All in all, a very tidy Xbox One bundle. There are some cheaper options for &apos;used&apos; bundles through the same link below too. Extra controllers are pretty pricey nowadays, so it&apos;s always worth keeping an eye out for any deals with one thrown in. 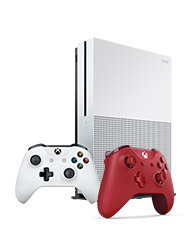 GameStop&apos;s latest Xbox One S bundle includes the new red controller in addition to the white one already in the box. This deal is $10 cheaper this week. 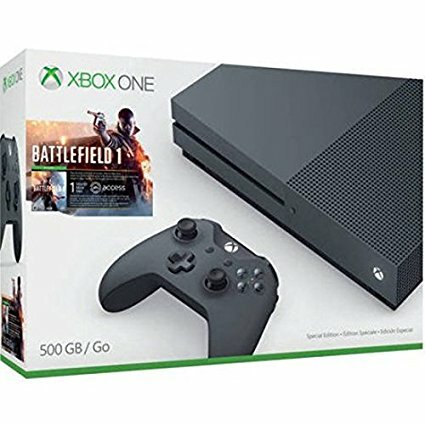 This is the cheapest grey Xbox One S Battlefield 1 bundle we&apos;ve seen in a while. You&apos;re only getting a digital copy, but it&apos;s still way cheaper than buying a physical copy separately and you get the limited edition grey console. This has been quite expensive lately, but we&apos;re glad to see it going for $20 less than last week. The increasingly rare nature of this deep blue edition is driving the price up sharply. Gears of War 4 is a solid addition to the series from a fresh studio studio. 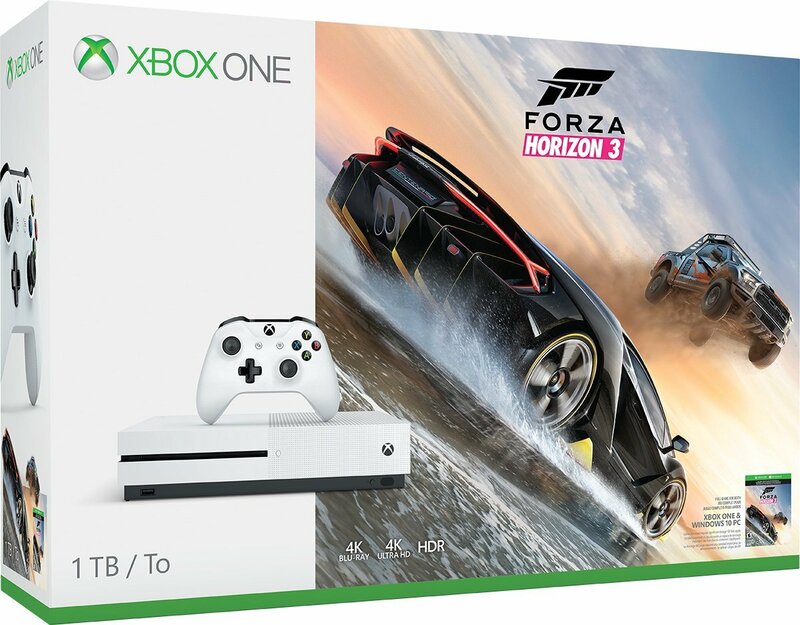 Prices of 1TB Xbox One consoles have been way too much lately (like waaay over $300), but this deal is worth a look if you&apos;re after some extra storage. Given the large amount of space required by mandatory game installs, patches and your free Xbox Live Games with Gold, a 1TB drive staves off irritating memory management for that little bit longer. This 2TB crimson red Xbox One S is incredibly rare, hence the high price. If you&apos;re a collector though, this could be your last chance to get a brand new one. 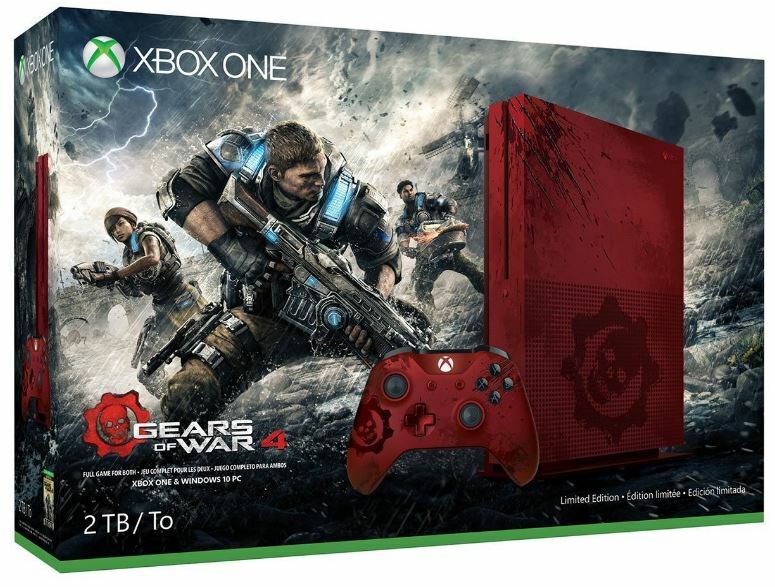 It also comes with Gears of War 4: Ultimate Edition. Need to top up your Xbox Live Gold membership? Don&apos;t pay the default automatic $60 renewal price. Check out our range of Xbox Live Gold deals &#xA0;to save some serious money.